Enid Public Schools is fortunate to serve a community that believes in the value of public education. Over the last six years, the district has received more than $5.5 million in private donations to begin and maintain opportunities for students. We are so very grateful for the people of Enid and their support. · A $3.4 million donation from nine companies and individuals to assist the district’s capitol campaign, the largest private donation of its kind in Oklahoma K-12 history. · The creation of the EHS University Center, which allows students to take AP and dual credit college courses. Seniors receive free tuition through a state program, and the district provides all books. Those with financial need are assisted with fees through a $300,0000 donation from the EPS Foundation and Ray Davis Family Foundation. District officials estimate the program can save families more than $30,000 in college expenses. · A $450,000 grant from the National Math and Science Initiative that required $120,000 in matching funds from four local businesses: Dillingham Insurance, Advance Pierre, Groendyke Transport and Gefco. The program has strengthened AP coursework for students and professional development for teachers, making the Enid High AP program one of the fastest-growing in the state. · A $200,000 community campaign, conducted by the United Way, to expand the district’s early childhood program. The funds, coupled with a $100,000 grant from the Inasmuch Foundation, made the EPS Carver Early Childhood Center possible. · SMARTBoards are available in every classroom and students have access to iPads, laptops, Chromebooks and other wireless devices. Much of this technology was purchased through community collaborations, including the Great Land Run, and local school foundation grants. · More than $700,000 donated by an anonymous benefactor to provide three high-poverty schools with additional technology and small-group instructional support. · Autry Technology Center, part of Oklahoma’s nationally recognized career technology program, allows Enid High School students to receive cutting-edge career and technology training as part of their high school curriculum. 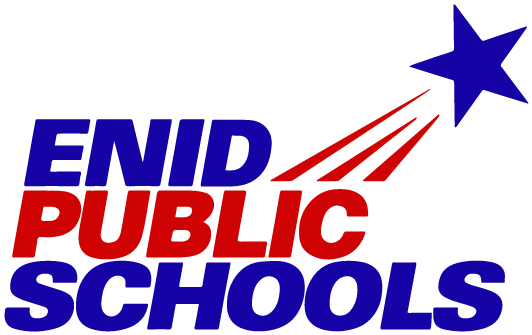 · Vance Air Force Base is a partner in the classroom for Enid Public Schools, providing many volunteers for special projects and student mentoring/tutoring. · EPS is home to two unique early childhood programs: an intergenerational program through a partnership with a senior retirement home and a learning center through a partnership with a local university.